Welcome to our thread for discussing Senior Ladies at their GP events of the 2017/18 season! She has not participated in any events so far this season. Carolina Kostner is an Italian figure skater, born in Bolzano, February 8, 1987. Her mother was a nationally ranked figure skater in the 1970s and her father an ice hockey player, who played ice hockey for the Italian national team at the World Championships and Olympic Games before becoming a coach. Her younger brother is also an ice hockey player and her godmother is the famous Italian skier Isolde Kostner, silver medalist in alpine skiing at the 2002 Winter Olympics. Carolina began skating at the age of 4 and after a successful career in Juniors, she entered the Senior division in season 2002/03 when she finished fourth at the European championships. That same season she became the first Italian skater to medal at Junior Worlds, winning a bronze. Her first medal at the World Championships came in 2005 when she beat Michelle Kwan for the bronze medal at the 2005 World Championships in Moscow. Her first European medal came next season, in 2006, and was chosen to be flag bearer for the host Italian team during the opening ceremonyof the 2006 Winter Olympics, where she finished 9th. At the 2010 Olympic Winter Games, she finished 16th overall after failing in most of her jumping elements in the free skate. In her third Olympic Games she finally medaled, winning the bronze after which she took a break from figure skating. In January 2015, Kostner was banned from the sport of figure skating for 16 months for lying about her ex-boyfriend Alex Schwazer, reportedly to help him conceal his use of illegal performance-enhancing hypobaric chamber machine and to help him hide from a drug test and then returned to figure skating, under Alexei Mishin, in 2016/17 season. She is the 2014 Olympic bronze medalist, the 2012 World champion, a five-time European champion (2007–2008, 2010, 2012–2013), and the 2011 Grand Prix Final champion. She is also a medalist at five other World Championships (2005, 2008, 2011, 2013–14), five other European Championships (2006, 2009, 2011, 2014, 2017), and three other Grand Prix Finals (2007, 2008, 2010), the 2003 World Junior bronze medalist, and an eight-time Italian national champion. She won the first World Ladies title (2012) as well as the first European Ladies title for Italy (2007) in history of skating. She was the first Italian lady to medal at World Championships (bronze in 2005) since 1978 and is also the first Italian single skater to win a medal at Junior Worlds. Last season, returning to the sport after a 2 year break, she won a bronze medal in Ostrava, at the European Championships and is the most decorated female singles skater in the history of the European Championships. She is well known for her excellent skating skills and interpretation of her programs. Carolina speaks German, Italian, English, and French and has studied art history. She is currently coached by Alexei Mishin and Michael Huth, is a member of Fiamme Azzurre skating club and her choreographer is Lori Nichol. This season she has participated in the ISU CS Lombardia Trophy where she placed 3rd (video: Short Program, Free Skate). 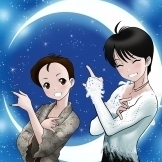 Wakaba Higuchi is a Japanese figure skater, born in Tokyo, January 2, 2001. She began skating at the age of 3 and quickly showed her talent, winning several novice titles. She was also a guest skater to skate in the gala at the 2014 World Championships in Saitama, Japan when she was 13 years old. Already in her debut on the JGP circuit she won the silver medal in Ostrava, Czech Republic. With a gold medal at her second JGP event in Dresden, Germany, she qualified for the 2014–15 JGP Final, where she finished third. That season she also won the the Japanese national junior title, a feat she repeated the following season. In her first senior season, she placed 10th at Four Continents Championships and 11th at World Championships, which helped bring Japan two slots for the upcoming 2018 Olympic Games. She won the team event with Team Japan at WTT 2017. She is a two-time World Junior bronze medalist (2015, 2016), the 2014–15 Junior Grand Prix Final bronze medalist, and a three-time Japan senior national medalist (bronze in 2015, silver in 2016 and 2017). She is coached by Koji Okajima and Noriko Sato, and is a member of Nihonbashi Jogakan Junior High School FSC skating club. 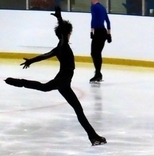 She has been practicing the 3A but it is yet unknown if she will be using it in this season's programs at any point. Park So-youn is a South Korean figure skater, born in Naju, Jeollanam-do, South Korea on October 24, 1997. She started skating in first grade of elementary school, was when she was eight years old. In 2009, she became the youngest Korean national team member when she was just 13 years old. She participated in 2013 World Junior Championships, where she placed 12th. Her Senior debut happened in the 2013/14 season. She managed to place second behind Kim Yuna and participated in the 2014 Winter Olympic Games, where she finished 21st overall. In the previous season she was 8th at the 2016 Skate America and then 5th at the 2016 Trophée de France but subsequently suffered an injury; she fractured her left ankle during training and was forced to sit out the reminder of the season. She is the 2015 South Korean National champion, the 2012 Asian Trophy champion, the 2012 JGP Turkey silver medalist and the bronze medalist from 2012 Winter Youth Olympics, team event. Her goal for years has been to compete at the 2018 Winter Olympics in Pyeongchang, her home country. She is currently being coached by Hyun Jung Chi. Evgenia Medvedeva is a Russian figure skating, born in Moscow, Russia, on 19 November 1999. Her mother is a former Russian figure skater. Her parents wanted her to practice figure skating to improve her figure so she started skating at the age of 3. Though she was initially coached by initially by Elena Proskurina, Lubov Yakovleva, and Elena Selivanova around 2008 she switched to Eteri Tutberidze at the Olympic Reserve Sports School no. 37, renamed Sambo 70. In her first Junior season she won the bronze medals at both the JGPF and at the 2014 World Junior Championships in Sofia, Bulgaria. The following year in Juniors and two in Seniors, she won gold medals at these events. She is a two-time World champion (2016, 2017), a two-time European champion (2016, 2017), a two-time Grand Prix Final champion (2015, 2016), and a two-time Russian national champion (2016, 2017). Earlier in her career, she won the 2015 World Junior Championships, the 2014 Junior Grand Prix Final, and the 2015 Russian Junior Championships. She is the first ladies' singles skater to win senior Worlds the year after winning Junior Worlds, first ladies' singles skater to win two consecutive senior Worlds the year after winning Junior World, and by winning the 2017 World Championships, she became the first female skater to win back-to-back world titles in 16 years since Michelle Kwan did so in 2000 and 2001, and the first Russian woman ever to successfully defend her world title. She has set world record scores 11 times and is the first female skater to surpass the 80-point short program mark, the 160-point free skating mark, and the 230-point and 240-point total mark. She is the current holder of world record scores in all three marks. Evgenia loves K-pop, anime and Japanese culture. In 2017 she enrolled at the Russian State University of Physical Education, Sport, Youth and Tourism. She is currently being coached by Eteri Tutberidze and Sergei Dudakov and is a member of Sambo 70 (Khrustalni) skating club. Valeria Mikhailova is a Russian figure skater, born in Moscow, Russia, on 14 February 2002. She participated in 2014 and 2015 Russian Junior Championships, finishing 13th and 9th respectively. Her international debut was on the JGP circuit in the 2015/16 season where she placed 5th in Slovakia, and 4th at her next JGP assignment, in the United States. This will be her first GP event, where she has the host pick spot. She is still a high-school student, who likes drawing. Her current coach is Sergei Davydov, she is a member of CSKA Moscow and her choreographers are Viktoria Bondarenko and Sergei Verbilo. She has not participated in any ISU events this season. Yelena (Elena) Radionova is a Russian figure skater, born in Moscow, Russia, on 6 January 1999. Her father enrolled her into figure skating classes when she was 3 years old, to align her club foot. Since the age of 4, she has been coached by Inna Goncharenko at CSKA Moscow, until the change this season. She has had a very successful Junior career with two gold medals from Junior World Championships and a gold from the Junior Grand Prix Final. She made her Senior debut in the 2013/14 career and managed to qualify for the GPF on her first try, where she finished fourth overall. The following season she medaled at the World Championships, by winning 3rd place. Last season she competed in two Grand Prix events and qualified for her fourth consecutive GP final, where she finished 6th. She did not participate in 2017 European or World Championships. She is the 2015 World bronze medalist, a two-time (2015–2016) European silver medalist, a two-time Grand Prix Final medalist, 2017 Winter Universiade champion and the 2015 Russian national champion. She is a gold medalist from Junior World Championships (2013 & 2014) and the 2012–13 JGP Final. She is the first ladies' single skater to repeat as World Junior champion in 2014, where she broke the WR previously held by Mirai Nagasu and Yulia Lipnitskaya and became the first junior lady to score above 190 points. She is currently coached by Elena Buianova and is a member of CSKA Moscow skating club. Mariah Cheyenne Bell is an American figure skater, born in Tulsa, Oklahoma on April 18, 1996. Her older sister has skated with Disney on Ice and she was the reason why Mariah started skating at the age of 4. She made her ISU Junior Grand Prix debut in 2013/14 season where she won a bronze medal in Mexico but finished 7th in Poland. After graduating from high-school in 2014, she moved to Monument, Colorado, so that she could train under Kori Ade. Her Grand Prix debut happened in 2015, where she finished 8th at 2015 Skate America. Last season she made another coaching change, joining Rafael Arutyunyan in Lakewood, California. In January 2017, Bell received the bronze medal at the U.S. Championships, earning her a spot on the Four Continents and World teams, where she placed 6th and 12th, respectively. She is the 2016 Skate America silver medalist, 2016 CS U.S. International Classic silver medalist, 2016 CS Ondrej Nepela Memorial bronze medalist, and 2017 U.S. national bronze medalist. She is currently coached by Rafael Arutunian and is a member of Rocky Mountain FSC Westminster skating club. This season she participated in ISU CS US Internat. FS Classic 2017, where she placed 5th (video: Short Program, Free Skate). Mirai Aileen Nagasu is an American figure skater, was born in Montebello, Los Angeles County, California on April 16, 1993. Her parents are both immigrants from Japan and are not US citizens and Mirai had dual citizenship until the age of 22. She started skating at the age of 5. In her very first season as a Junior she managed to win 2006 U.S. Figure Skating Championships for Juniors, ahead of the then reigning Junior Grand Prix Final champion. This qualified her for the Junior World Championship that year, where she won the silver medal. The very next season though she won the Senior Nationals, Nagasu did not meet the International Skating Union's age criteria to compete at the World Championships and had to miss out. In the 2008/09 season in her senior Grand Prix debut, Nagasu placed fifth at the 2008 Skate America. At the 2008 NHK Trophy, Nagasu finished in eighth place. In May 2009, Nagasu changed her coach to Frank Carroll. In the 2009/10 Olympics season she placed second at the US Nationals, which qualified her for the 2010 Olympic Games, where she placed just of the podium, fourth. During the 2013/14 season she placed third during the US Nationals. Although the United States was able to send a three-woman team to the ladies' singles figure skating event at the 2014 Winter Olympics in Sochi, Russia, U.S. Figure Skating awarded the third position on the team to Wagner despite her fourth-place finish behind Nagasu, due to Wagner's stronger international competitive record. Last season she participated at the Four Continents Championships and finished 3rd. She is a three-time Four Continentsmedalist (silver in 2016, bronze in 2011 and 2017), the 2007 JGP Final champion, a two-time World Junior medalist (silver in 2007, bronze in 2008), and a six-time U.S. national medalist (gold in 2008, silver in 2010, bronze in 2011 and 2014, pewter in 2016 and 2017). In 2008, Nagasu became the youngest woman since Tara Lipinski in 1997 to win the U.S. senior ladies title, and the second youngest in history. She is the first lady since Joan Tozzer in 1937 and 1938 to win the junior and senior national titles in consecutive years. She is currently coached by Tom Zakrajsek and is a member of Pasadena FSC. Thank you, @Yatagarasu ! Great work! Ah yes, Hannah, thank you! I know. Well we can start the discussion with this too, no? The reason why I've decided to hold off on changing it, it's really no trouble, is that I want to see what we get out of CoR. Yes, RusFed confirmed but considering it was all a bit of a rush, Avebukh didn't know, etc, lets see if this truly is the final choice. What we get at CoR will be the final decision I believe, even she cannot switch between two that quickly. As for the switch, I've decided I really like it. I think it's a good choice, if she keeps it. I think the music is much more appropriate to the general audience, they're bound to follow better than the Leftovers one, and I think it fits her and her expression more. Anna K seems to truly show her maturation as a skater, and as a performer IMO, while I think Leftovers is pretty demanding and she's not quite there yet. In general, for anyone, it'd be tricky to coax out the maximum out of that and even then, I am not sure the payoff is enough. Anna K is well known though and easier to get. I loved the new stsq. Truly loved. She just flows through it, which wasn't always the case before. There's the news - do we get a replacement? Agree. Let's wait a little bit. Hard to believe that it's already next week!!! If she keeps AK program, she needs a better dress urgently! Can they replace someone that close to competition? Maybe Kailani, if she can get there in time? Or one of the Japanese. How many of them can compete in Seniors? I'm kind of rooting for Kailani to get a spot so she can try and get some GP points for Team Australia. Well Galustyan is in, I suppose it was a mater of who is closest. I'll add her in a bit. Predicting the ladies is going to be quite hard, actually. Aside from Zhenya obviously for gold, I've no idea how to deal with the mix of Wakaba, Carolina, Elena and Mirai with a 3A. Carolina, especially, as seen in Finlandia Trophy, can garner quite high PCS to compensate for lower tech, which can lead to a podium finish.